a Vietnamese brunch at Pho Viet Anh a stone's throw away from the hotel. The pho wasn't as tasty as I am accustomed to in Lowell and their "special" roll had a surprising crunch to it in the middle, fried wontons. I couldn't decide if I liked it or not. Our hotel was conveniently located a block away from the park that the Space Needle was located. On the way there, we stopped by the Urban Craft Uprising Show, Seattle's largest Indie Craft Show at the exhibit center. They had suggested donation f $1.00. We regretted eating the mediocre Vietnamese food as the exhibit had mouth watering International food vendors with tantalizing aromas filling the halls. The different booths were pretty cool; there were unique homemade soaps, apparel, jewelry, etc. If we didn't have limited luggage space on JetBlue, I would have did some damage there. We left the warm exhibit room and braced ourselves for cold Seattle weather and walked towards the Space Needle. 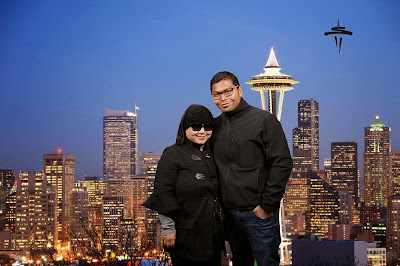 There was a bundle package available for $33.00 for both the Space Needle observation deck and the Chihuly Garden and Glass so we went with that. The lines to purchase tickets had a wait (we should have bought them online) and that was frigid. We witnessed a homeless man eating ketchup out of the trash can, it was a really sad image. Tourists were offering him food. We had about 45 minutes before our :Priority" boarding time to the Space Needle observation deck so we headed into Chihuly Garden and Glass that showcased Dale Chihuly's mind blowing masterpieces. 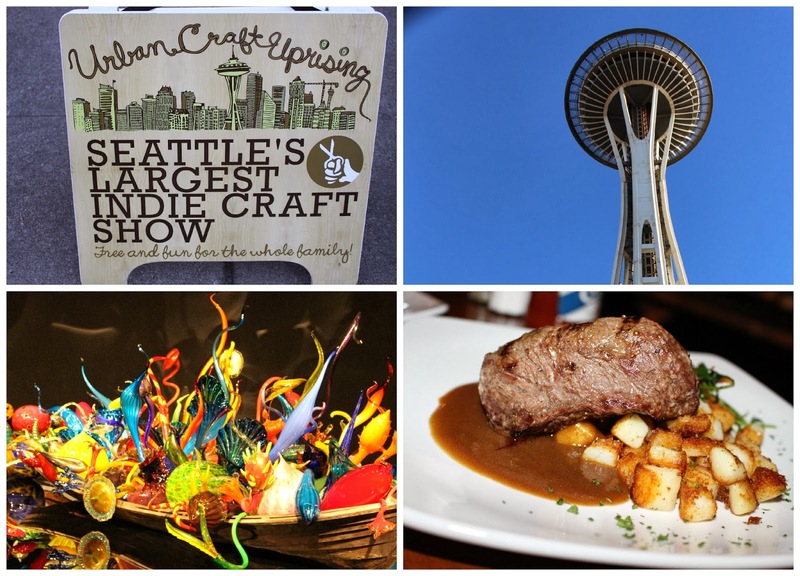 The attraction was rated #1 on Tripadvisor even beating out the Space Needle. We entered the Space Needle gift shop and got our picture taken as we stood inline. We were the next group to go up the elevator. We headed back to our hotel and freeloaded off the free pineapple cupcakes and Starbuck's coffee one last time. After a crazy cab ride that made me want to vomit, we ended up at the Lost Pelican for Happy Hour.The restaurant specializes in southern cuisine and we thought it would be a nice change from the typical American and Asian food that we have been eating. We started off Dark N Stormy's and a Linstead (scotch, pineapple and absinthe) and ordered some apps and entrees. The food was absolutely delicious, the best meal we had on our honeymoon! What a great meal to end our long trip.